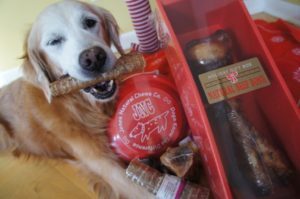 Today we’re joining a blog hop designed to love on a very good friend, Sugar the Golden Retriever. 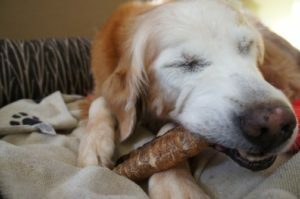 Sugar is a senior Golden and much beloved in the blogging community. Do you follow her blog? 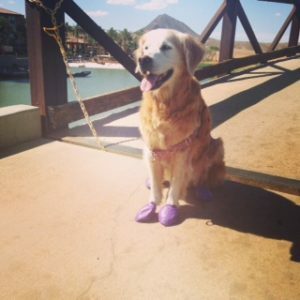 Sugar’s good friend, Oz the Terrier, started this blog hop – When I See Sugar Smile – to encourage bloggers to pray for Sugar, think of Sugar, send her POTP (power of the paw), while she undergoes surgery tomorrow. She has a mass on her spleen. Why the smile? Sugar is one of those wonderful dogs which can smile on command. She’s gentle, laid back, well behaved, well trained, and all around the best dog you’ll ever meet. If you’ve met her in the fur, you know it’s true. There’s no better dog friend than Sugar. So join me, will you, in visiting other blogs in the hop, as well as thinking of Sugar in whichever way you choose. I’ll be praying for Sugar, her mom and her dad. 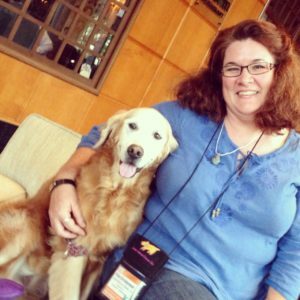 They’re good friends and will need encouragement, so stop by the blog and give them virtual hugs. We want to continue to see Sugar smile for a long time to come.